A small group of activists return at the very start of drilling work, later joined by several others. 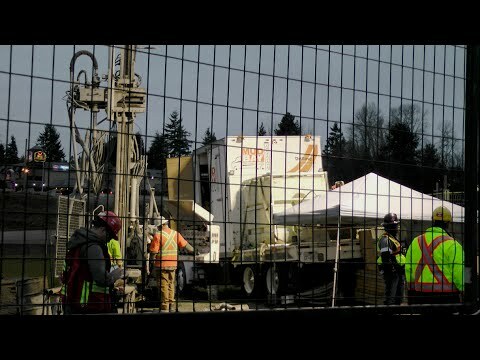 Mud Bay Drilling is conducting geotechnical survey work as a step towards allowing construction to begin on Kinder Morgan’s proposed Trans-Mountain dilbit export pipeline through the lower mainland, which would increase tanker traffic through Burrard Inlet by several fold. This is taking place on unceded Coast Salish Territories in the municipality of Coquitlam.